or all four sessions can be booked for £10. Tickets can be purchased on the day at Victory Field for £4. Active Trowbridge and Town Council Staff will be on hand to set up games, crafts and fun things for your children to play. Enjoy the day together with your children – bring a picnic and stay all day. 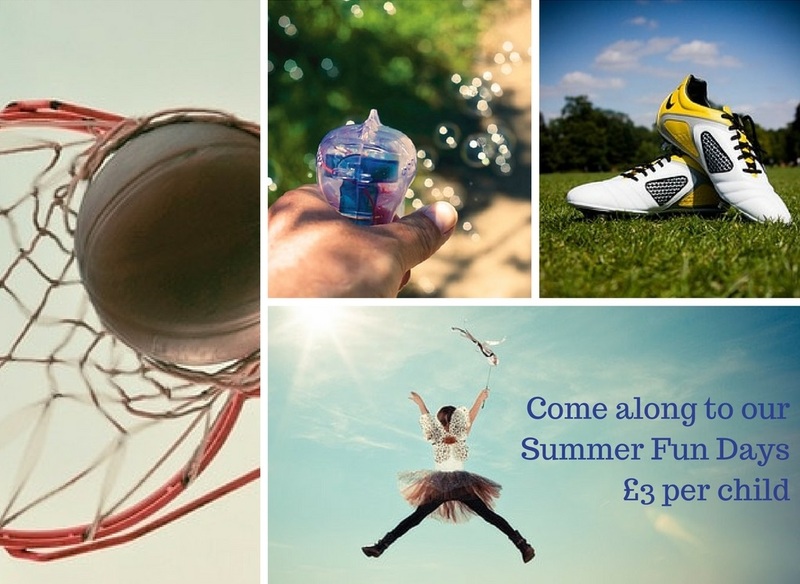 Remember please bring suitable clothing for the activity (and the weather) as well as sun cream and plenty of water. Children under eleven years old must be supervised by a parent or carer at all times. Staff members cannot take responsibility for individual children or monitor them when they leave the site. Fun Days will go ahead in the Youth & Community Centre, Frome Road, in bad weather.